Sometimes you just need a classic cheesecake. 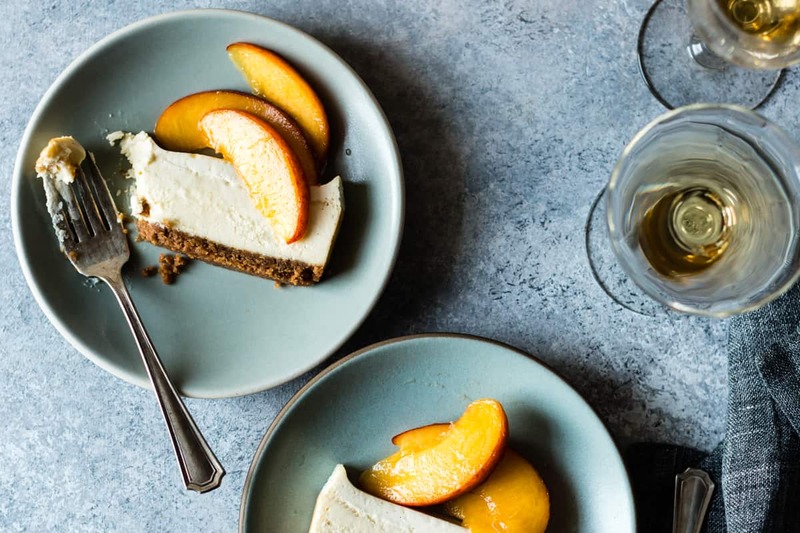 This small batch cheesecake with elderflower peaches comes together in a snap and makes an easy, elegant summertime dessert. Adapted from Sweet and Simple: Dessert for Two by Christina Lane. 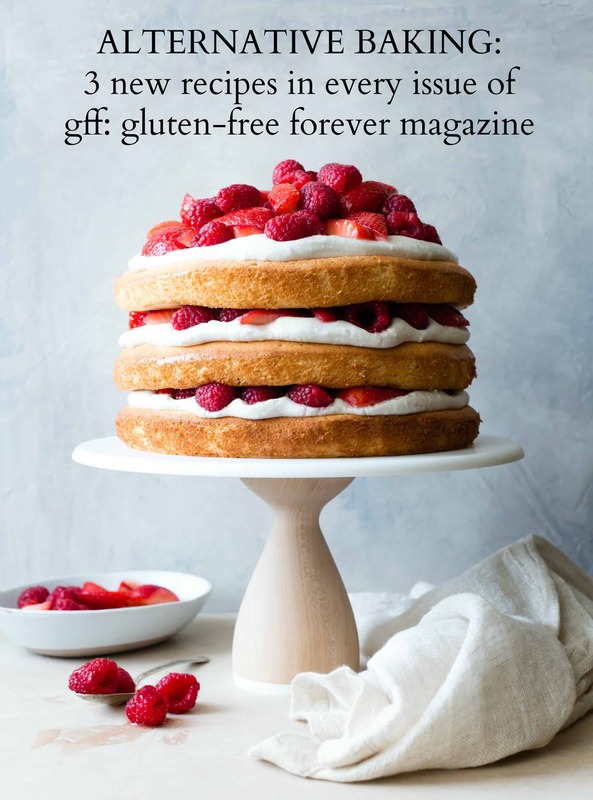 “Can I send you my next book – the one with all the gluten, dairy, and sugar?” Christina messaged me earlier this year. My response was a resounding yes! Even though I go easy on the gluten, I’m an equal opportunity cookbook collector and get most of my inspiration from traditional baking. 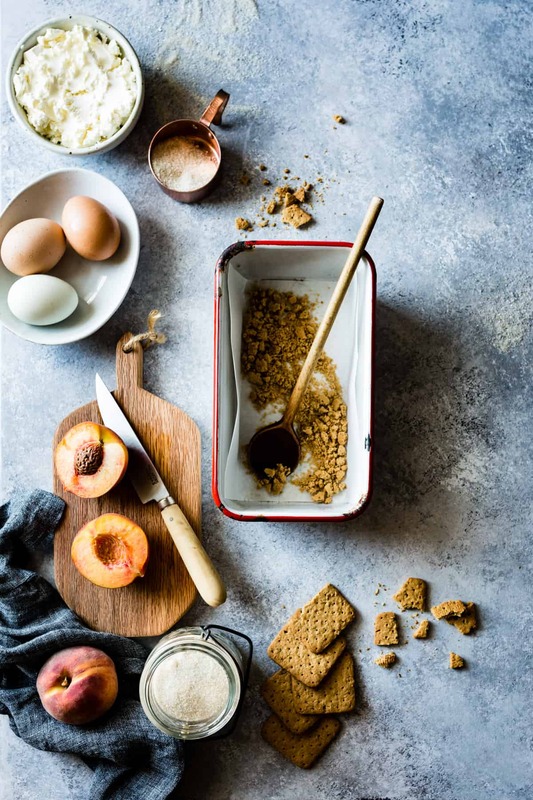 Plus I’ve been a huge Dessert for Two fan for about as long as I’ve been blogging, both for Christina’s tantalizing food photos and her genius methods for scaling down batch sizes of baked goods, which is no easy feat. Christina’s latest oeuvre did not disappoint. 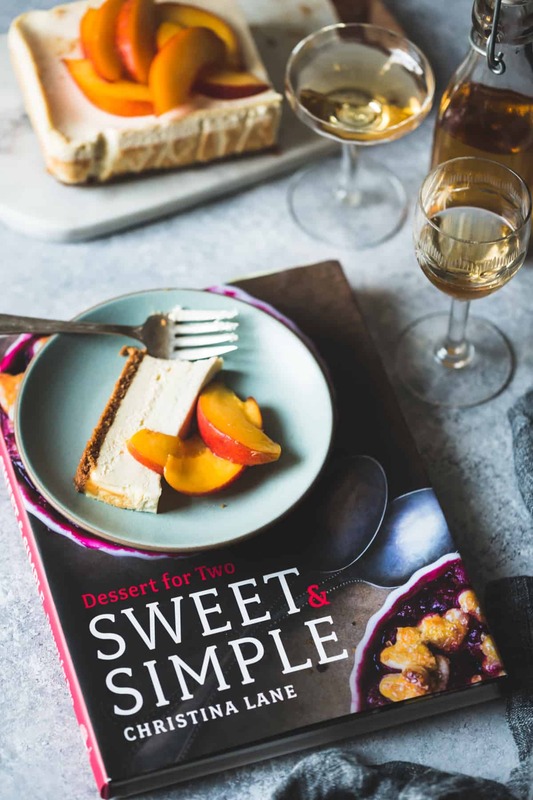 Her latest book Sweet and Simple boasts many of Christina’s personal favorite recipes, the ones she makes on repeat for her family at home. To keep things extra simple, the book is organized by pan size – from a mini baking sheet to muffin pans to a loaf pan, plus a few others that you likely already have. And Christina’s got you covered no matter your dessert needs. Cake free from refined sugar? The Maple Syrup Cupcakes + Coconut Whip are your guys. Dead-simple DF GF treat? Try the Coconut Panna Cotta topped with honey and figs. Pantry bare save for chocolate, eggs, and butter? One chocolate truffle cake, coming right up. Colorful treat for kiddos? Get your hot pink raspberry cake on – the cream cheese frosting is naturally colored with frozen raspberries. 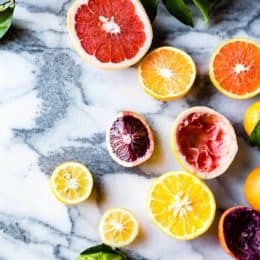 While most recipes are classic in flavor and streamlined in structure, there’s no shortage of interesting ingredients and innovative techniques. There’s matcha lemon cake roll, gingerbread flan, chai pudding with gingersnap crumbles, and Earl Grey crème brûlée. I especially love the abundance of puddings and custards in the book, many of which are naturally gluten-free. One lovely perk of this book is that since the batches are small and quick to make, you can try all the things. So far I’ve made the chai pudding, lemon matcha roll, and little brownie pots – all were winners. There are several variations on cheesecake in the book that caught me eye, and when I saw that Christina bakes her small batch cheesecake in a loaf pan, I very nearly cried. Cheesecake is one of those desserts that should be simple to make, and yet recipes scare you with talk of waterbaths, leaky springform pans, cracked tops, baking at various temperatures, leaving the cake in a cool oven post baking, etc. etc. I’ve solved this problem over the years by baking my cheesecake in bar form, but these aren’t ideal when a plated dessert is what I’m after. Small batch cheesecake in a loaf pan to the rescue! This classic beauty is the little black dress of cheesecakes – perfect to accessorize with whatever’s in season. Christina’s gets a swirl of chocolate and spoonful of cherries (swoon!) But since peaches are in full swing, I tossed slices with a big splash of St. Germain elderflower liqueur. 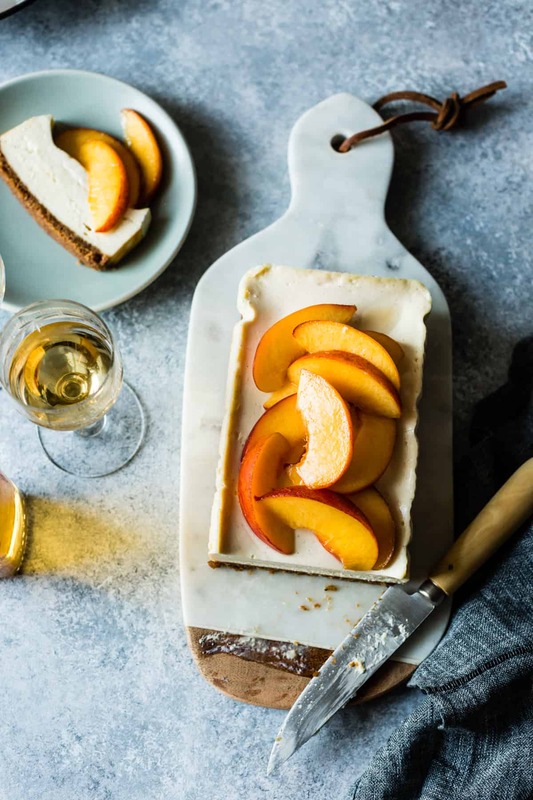 The floral taste of the liqueur is perfectly pitched with the peaches, making them taste extra ripe and peachy, and their sweet tartness makes an ideal pairing with slices of creamy cheesecake layered with toasty graham cracker crust and a slick of tangy sour cream on top. Christina, huge congratulations on your latest gem and thank you for sharing your small batch genius with all of us! 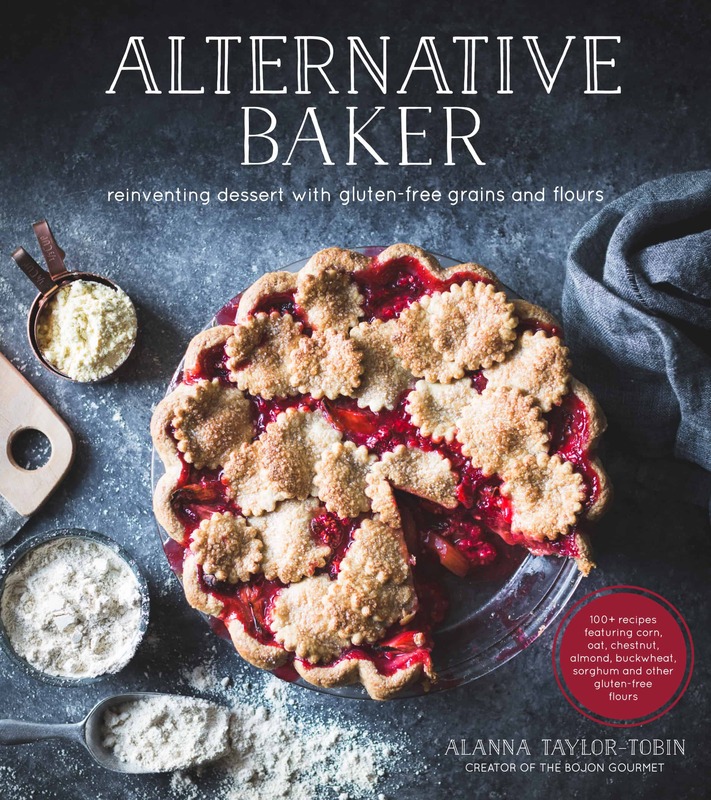 For more small batch cooking and baking, check out Christina’s other books, the original Dessert for Two and Comfort and Joy. 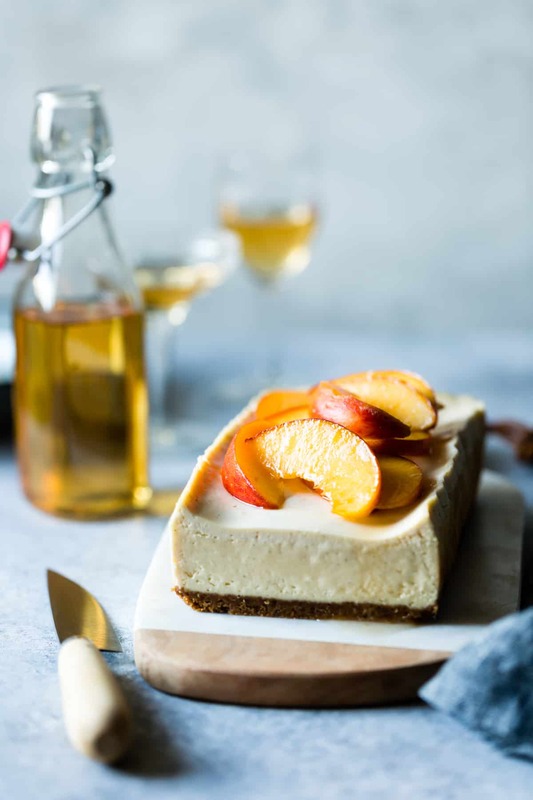 Classic cheesecake gets dressed up with fresh peaches infused with elderflower liqueur which enhances their flavor beautifully. 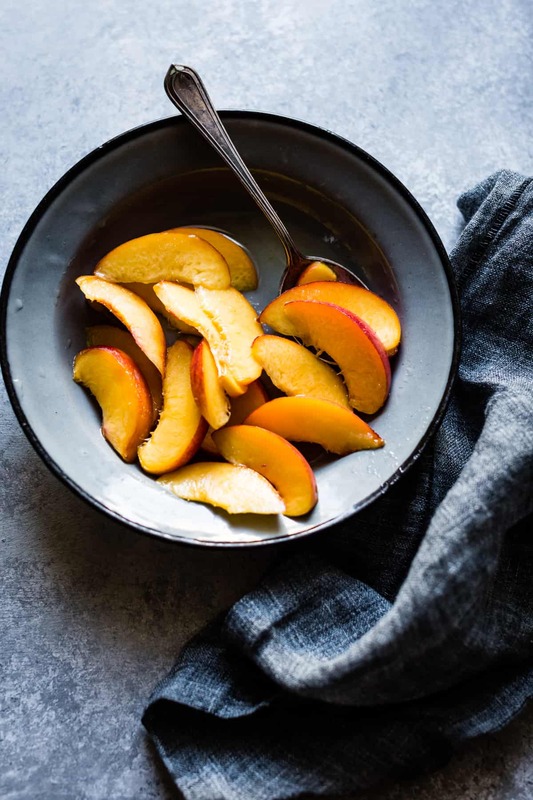 If you don’t have any on hand, simply toss the peaches with a spoonful or two of honey. The genius loaf pan cheesecake recipe is adapted from Sweet and Simple. A few tips for cheesecake success: be sure to have your ingredients at room temperature lest you end up with lumpy cheesecake, and give the mixing bowl and beater a few good scrapings as specified. Keeping the mixer at medium-low prevents unsightly air pockets from creeping into your baked cheesecake. Position a rack in the center of the oven and preheat to 325ºF. Line an 8x4 or 9x5-inch loaf pan with a sling of parchment paper, leaving the edges overhanging slightly. Combine the graham cracker crumbs with the butter, sugar, and salt. Press evenly into the bottom of the lined loaf pan and bake until golden and toasty, 8-12 minutes. Decrease the oven temperature to 300ºF. In the bowl of a stand mixer fitted with the paddle, beat the cream cheese on medium-low speed until smooth, 2-3 minutes, scraping down the bowl and paddle once or twice. Add the sugar and salt and beat until smooth, another 2-3 minutes, scraping once or twice. Add the egg and repeat the beating and scraping, then beat in the lemon and vanilla. Scrape the filling into the pan. Bake at 300ºF until the cheesecake is slightly puffed on top and wobbles very slightly when you give it a wiggle, 30-40 minutes; the top should look dry and set. While the cheesecake bakes, stir together the sour cream, sugar, and vanilla. Spread the sour cream mixture over the baked cheesecake and bake until the sour cream is set when you give it a shake, 10 more minutes. Let cool to room temperature, about 1 hour, then chill until firm, 2-3 hours and up to 1 day. 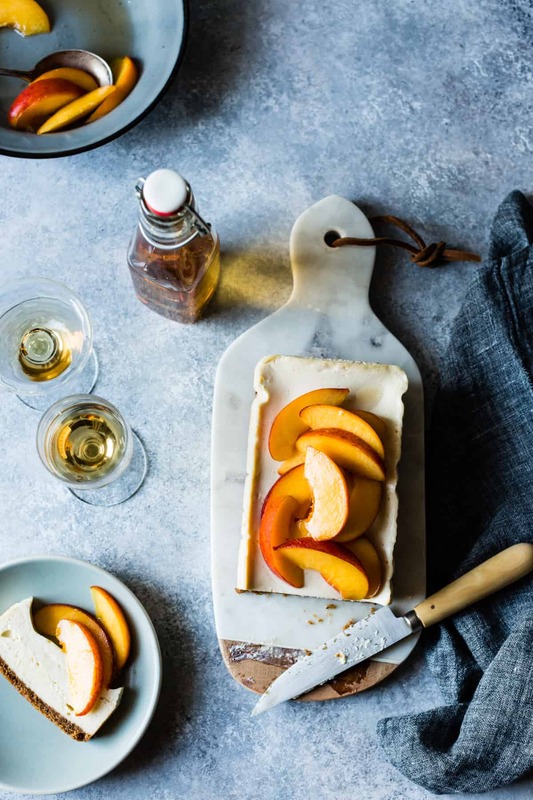 To serve, combine the sliced peaches with the sugar and elderflower, adding more or less to your taste, and let sit 10 minutes to infuse. 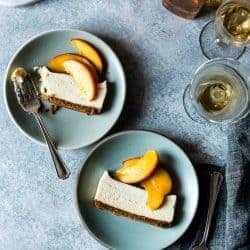 Use the parchment handles to remove the cheesecake from the pan to a cutting board (you may need to pry it out with a small offset spatula or butter knife) and use a large sharp chef’s knife to slice it into 6 – 8 pieces, running the knife under hot water and wiping it dry between each cut. 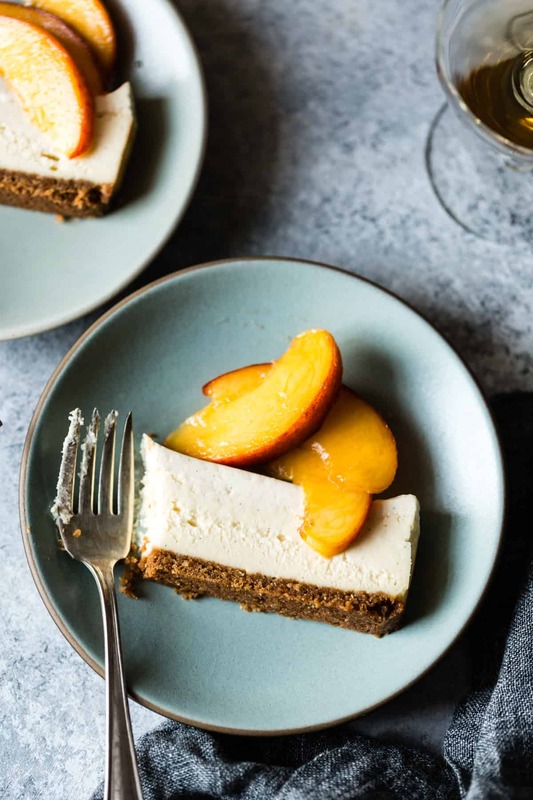 Serve slices of cheesecake topped with the peaches and a spoonful of their juices. The cheesecake is best within a day or two of baking when the crust is crisp, but leftovers will keep, airtight, for up to several days. I like thinking of “cheesecake time” as a variant on Eastern Standard Time, or dog years, or something like that. Its own zone or dimension of time. 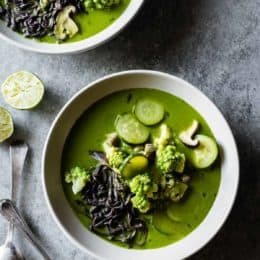 This recipe manages to combine so many of my favorite things that I am going to try to figure out how I can make it while driving, so I don’t have to wait until I get home. Haha yes, cheesecake time is totally like dog years! Let me know if you give this a go. It’s practically easy enough to make while driving, and maybe it’s even hot enough there to bake it right on your dashboard? Such a pretty cheesecake, and the elderflower peaches make the loveliest topping! 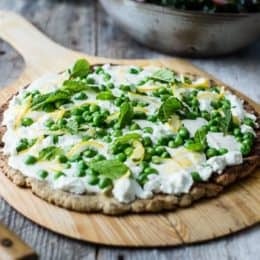 like many of the recipes here, this one actually looks too good to eat! 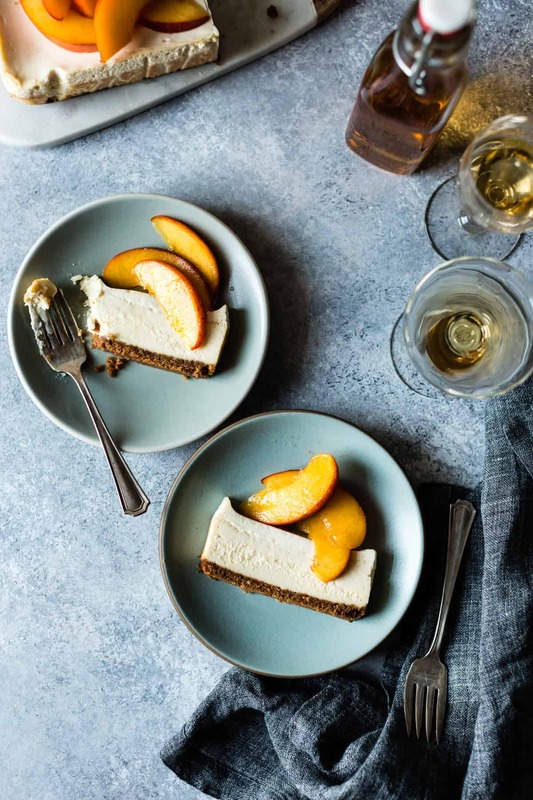 thank you for sharing this small(er)-batch cheesecake recipe, great idea to use a load pan instead of the full sized cake-pie pan, love the elderberry liqueur tweak too! Thank you! Gah, Alanna! I love you love you love you! You have been my blogging idol forever, and now we get to be friends! I feel so lucky :) And I cherish the time we had together in SF! I can’t articulate how much you baking my recipes means to me. I am so honored. You have absolutely no idea how thrilled I am to have found your website. I had lost all faith that no one has ever thought of the people that live alone and only have to cook for themselves and not a family of 5 or 6 anymore. (Lol). Seriously…I’m so tired of finding recipes and then have to cut them in half just for myself and even at that it’s still to much food and when I seen this recipe i was so excited and printed it out right away and will be making it this weekend. 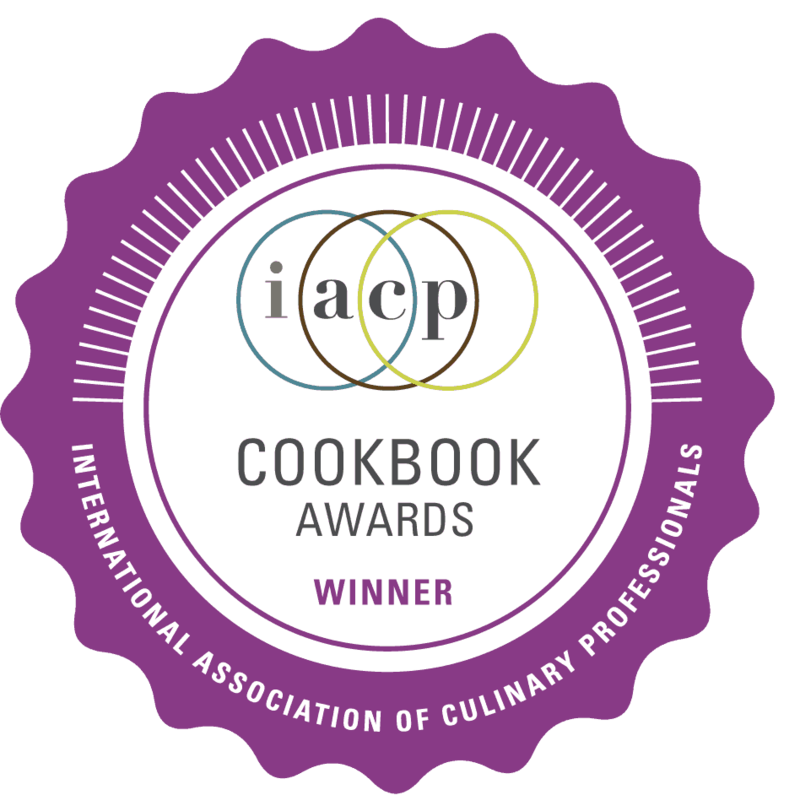 I was wondering if you could tell me how and where I would be able to purchase your cookbooks? If you could give that information I would greatly appreciate it. I love to see how relaxed and fun everyone seems to be with their comment and your replies back to everyone you never see that on any and I mean any websites. Thank you so much I look forward to hear back from you. Hope your having a great evening and staying cool. Aw, thanks for the sweet words, Robin! I can’t take credit for this small-batch cheesecake – Christina Lane is the genius behind Desserts for Two! But you can find my book anywhere, such as Amazon, and I keep the batch sizes on the smaller side for the most part. :) Thanks so much for reading, and for the sweet note! Yeah! A cheesecake recipe that I can make for small dinner parties! I just bought some super juicy fresh peaches and have a bottle of St Germaine in the liquor cabinet SO I’m good to go. Thanks!!! Amazing! We all loved this to finish off our backyard dinner party. The cheesecake was just the right size for 4 of us to have a nice serving and there’s enough for my husband and I to have the rest for breakfast tomorrow morning with fresh saskatoons. How decadent!!!! I’m so happy I found this recipe. So sad, my cheesecake cracked :/ Any ideas what I may have done wrong?